Royal Oak Medical Centre has been situated inside the Royal Oak Shopping Mall on Manukau Road for more than 20 years. We can be found above Whitcoull’s on Level 1 and we are accessible via lifts and ramps, there is access to disability toilets, parents and baby changing rooms, easy access to an on-site pharmacy, a food court, banks and speciality shops, including Pak N Save. Additionally there is plenty of covered and uncovered parking patrolled by mall security. The Medical Centre itself has ample room with two waiting areas, three consultation rooms, a treatment room and three practice nurses. The clinic is also open Saturdays for those who can not make it during the weekday. An after hours triage nurse is available to answer your calls and give advice. Dr Oliver Samin has been with the Royal Oak Medical Centre for the past 11 years. He initially started as a long term locum and never left! Oliver├é┬áhas been practicing as a solo practitioner for the last 5 years. 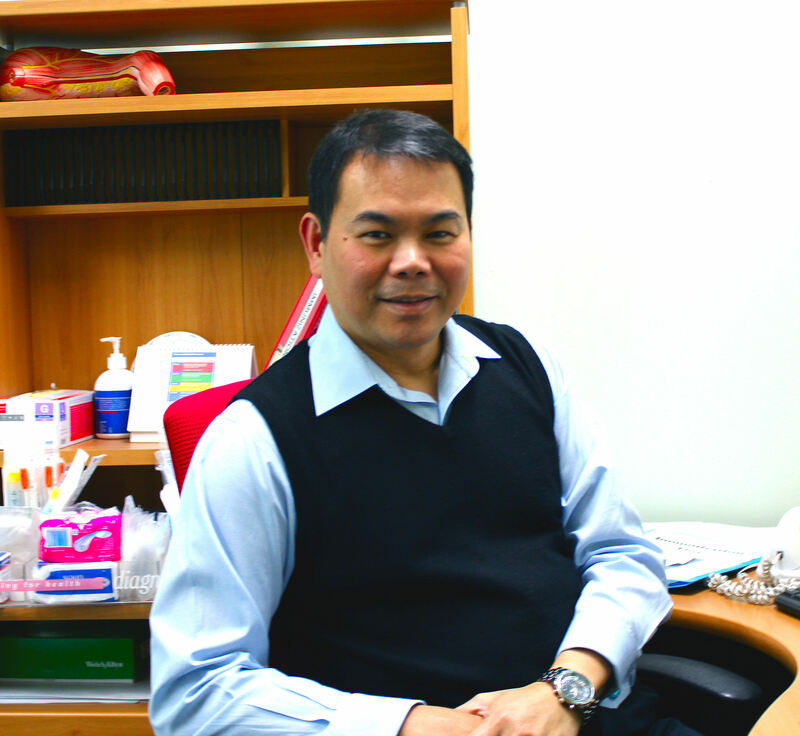 Originally from the Philippines, Dr Samin gained a Doctor of Medicine (MD) in 1984 and holds a Post-graduate Diploma in Applied Science and International Practice. Out of the clinic├é┬áOliver enjoys photography and a game of ten-pin bowling.